Alba is the premiere recording of trumpeter Markus Stockhausen’s duo with pianist Florian Weber, a formation in existence for some six years now. Though very different in their connections to the language of jazz, both musicians share a deep interest in the process of creative expression: of looking inwards and outwards with intensity at things, for echoes, resonances, insights. The dramatic arc and palette of the duo’s music is wide, from the joyous melodic roll of “Befreiung” (Liberation) and refracted optimism of “Better World”, to the chill sobriety of “Die weise Zauberin” (The Wise Witch) and the intriguingly reflective cast of “Emilio” (written for Florian’s son). At times, for the listener at least, lines blur imperceptibly between composition and improvisation. In limpid settings, subtly shifting contrasts of mood and feeling mark the music. Stockhausen and Weber developed their musical rapport inside Markus’s six-piece world music ensemble Eternal Voyage. Duo concerts followed, one in their hometown of Cologne and a mini-tour in and around Munich. At first, all the material was written by Stockhausen but as the relationship grew, Weber brought in tunes and then began writing expressly for the duo. Initially, the duo experimented with electronic sounds, also to create the “opening sounds” that have attracted Stockhausen since he first played with Rainer Brüninghaus’s trio in the early 1980s, as on the ECM album Continuum. Stockhausen says his subsequent Aparis project, with brother Simon and drummer Jo Thönes, sought to further the Continuum experience (yielding ECM releases Aparis in 1990 and Despite the Firefighters' Efforts, 1993). But with Weber, the realization soon came that the duo sounded stronger playing acoustically. “Florian has this incredible touch and possibilities to modulate the sound of the piano. There are so many colours available”. Two compositions on Alba come from recent commissions of Stockhausen: the melody of “Mondtraum” from “Olivers Abenteuer”, a song cycle for nine-piece children’s orchestra and choir and “Synergy Melody” from an ensemble piece for otherwise improvising musicians cued by hand signals from the conductor/composer. “Zephir” was previously recorded on a more classical basis with Dutch clarinetist Tara Bouman and is largely repurposed here, to beautiful, room-filling effect. For “Resonances”, Stockhausen blew impromptu phrases into the body of the piano and the sonic results hang in the air. The album’s three short piano pieces – “Possibility I”; “Today” and “Barycenter” – were also impromptu performances. 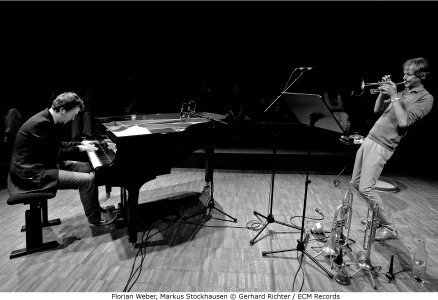 Florian Weber makes his ECM debut with Alba. A German Jazz Critics prize winner who played with Albert Mangelsdorff, his Minsarah trio became a Lee Konitz rhythm section resulting in three CDs with the great altoist. 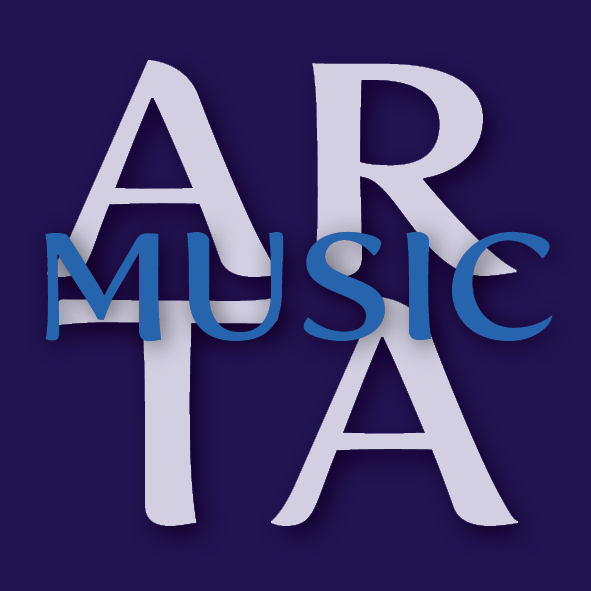 Alba is Markus Stockausen’s first ECM recording since Karta was released in 2000. Previously, he recorded Cosi Lontano…Quasi Dentro alongside Gary Peacock and appeared on Ralph Towner’s City of Eyes (both 1989). Continuum drew him widespread critical attention at 26, the album winning the 1984 German Record Critics’ Prize. For ECM New Series, he recorded his father’s Michaels Reise, a trumpet concerto in all but name, released in 1992.